Home Tech advisor Trends How will Automation, AI and IoT shape user experience? According to Gartner, customer experience (CX) – more than products or solutions – is the new battlefront for business, with 81% of marketers saying that by 2020 they expect to be competing mostly or completely on the basis of CX. 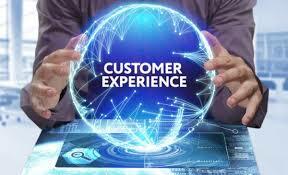 However, with customer expectations constantly rising, businesses continue to fall behind. With the integration of artificial intelligence, automation in customer engagement demonstrates new promise. Intelligent automation systems deconstruct vast amounts of data to automate entire workflows and learn as they go. In the not too distant future, intelligent automation – or Robotic Process Automation – will help organisations to handle unstructured customer data from emails, calls or social media. Ultimately, this means that businesses will be able to easily process customer communications in whatever form they may take and rely on automated systems to analyse and select the appropriate course of action. The resulting automation will drive efficiency and cost saving, whilst ensuring that customers are delivered a flawless experience. Personalisation has become the ultimate marketing buzzword over the last 5 years, with businesses rhapsodising about its ability to drive revenue and transform loyalty. Whilst being a ‘customer-centric’ business has always been important, it’s become even more tantamount in the digital age where consumers have unlimited access to competing products and services.